We all know people who will always try to tell us we can't do this or we can't do that. We have the choice of either agreeing with them and take the easy way out or we can look the straight in the eyes and say, "watch me"
showed me the way through many a difficult times. Yes I can, and yes I will. 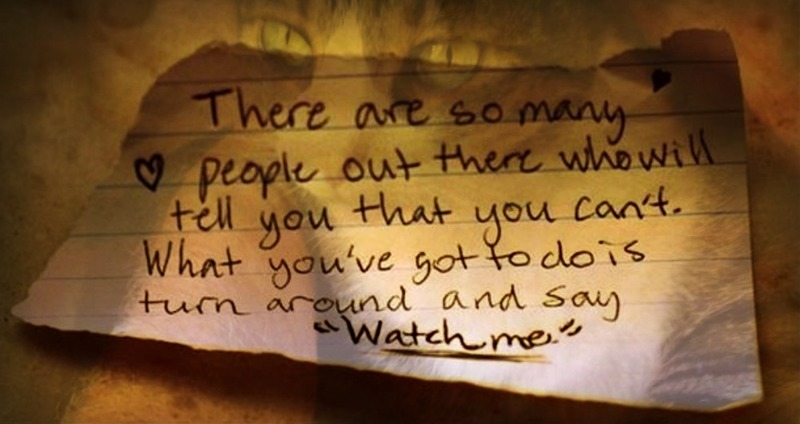 Watch me. Never throw in the towel. Use it to wipe off the sweat. Labels: Heaven never helps the man who does not act.